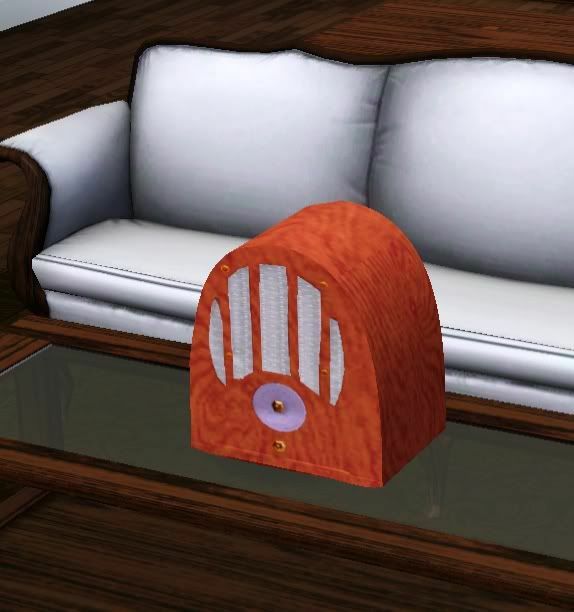 Another Antique Radio this is a conversion of my recent Sims 2 version. The radio has 3 channels. Shown below are the default colors. I had decided long ago to stop creating for The Sims 3 because of criticism. But I don't HAVE to read negative comments. And if they are posted here, I will just delete them as soon as I see them. 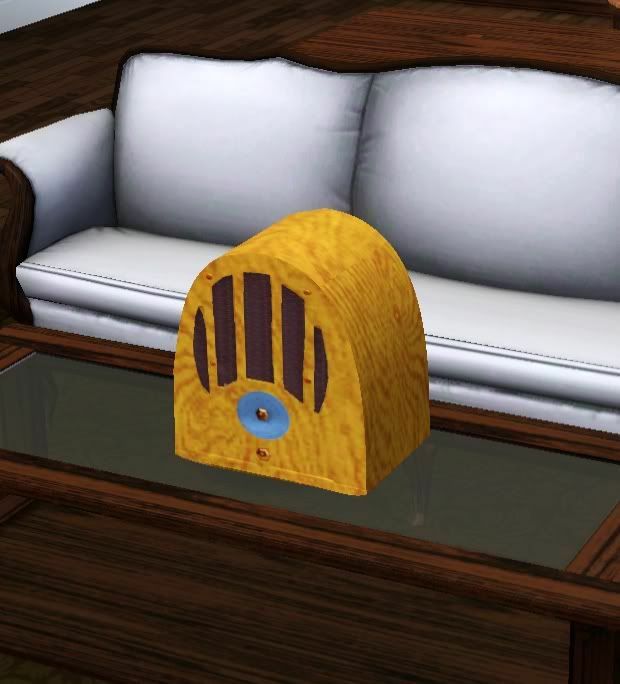 I love creating for The Sims 2 and 3, so I shouldn't let what imperfect people themselves think of my creations deter me from doing what I love. 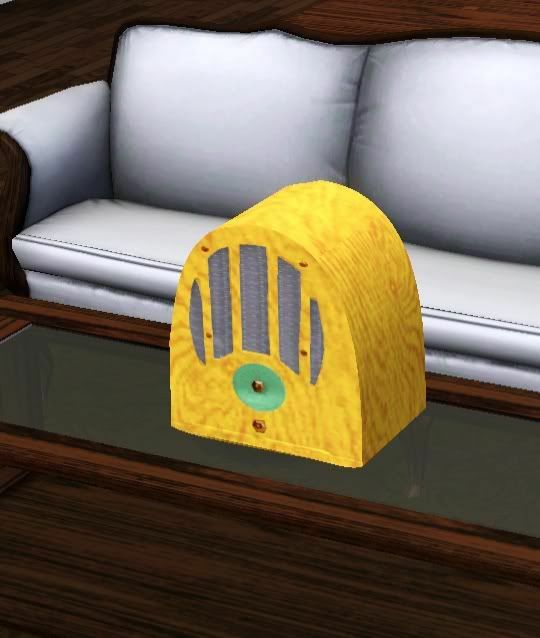 I have been out of the loop in TS3 for quite a while, and I admit these look a bit cartoony. But The Sims is a cartoon. Anyway, I hope you enjoy!